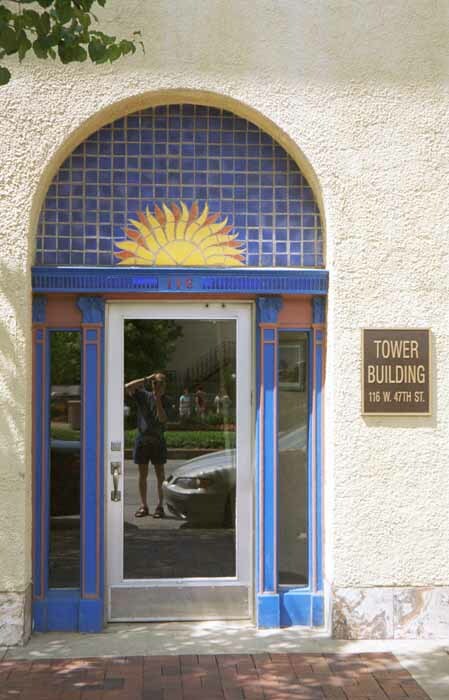 These doorways and windows clearly show the Moorish-Spanish influence in the Plaza's architecture. 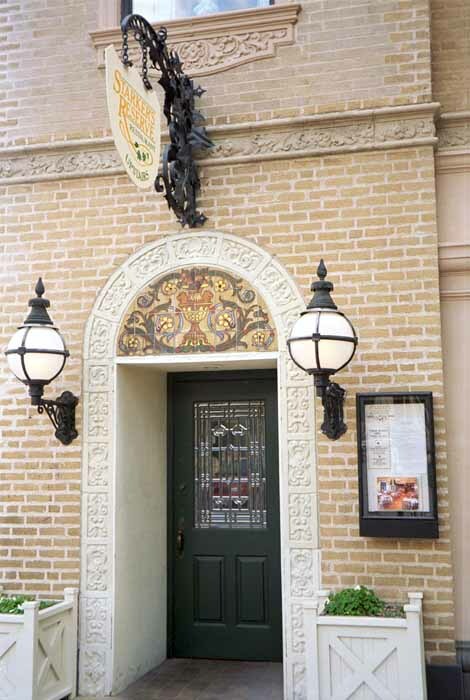 This is the doorway to a restaurant. 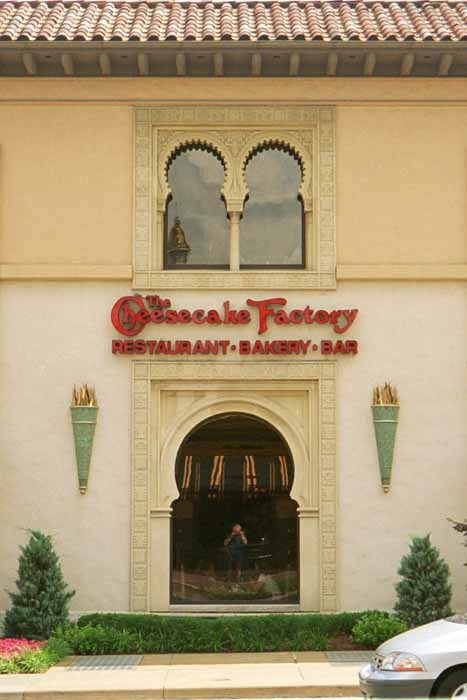 Notice the tilework above the door. These windows show Moorish influence. You can see diners in the lower window and the reflections of awnings across the street, as well as a reflection of the photographer. The photographer encroaches on the image once again. 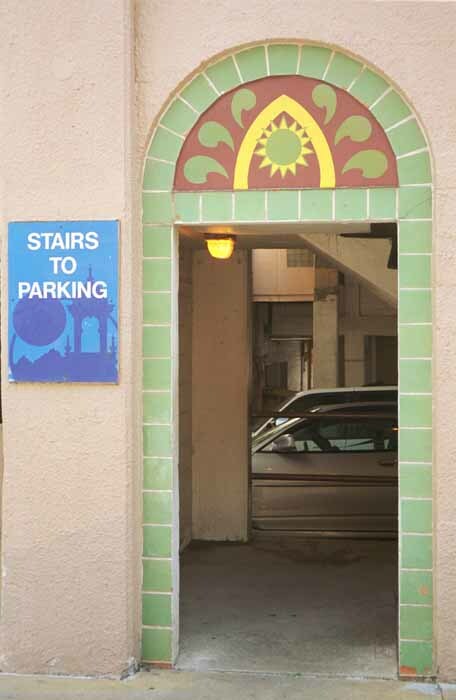 Even the parking garage follows the Spanish theme with tile and an arched doorway.